Allstate is proud to announce that we have scored 100% on the Human Rights Campaign 2018 Corporate Equality Index (CEI). Allstate was scored on detailed criteria falling under five broad categories: non-discrimination policies; employment benefits; demonstrated organizational competency and accountability around LGBTQ diversity and inclusion; public commitment to LGBTQ equality; and responsible citizenship. The Human Rights Campaign (HRC) began issuing the CEI in 2002 to asses LGBTQ-inclusive policies and practices at Fortune 500 companies. The assessment encourages corporate leaders to implement more tools and act on more commitments to create a safe and inclusive environment for LGBTQ employees. 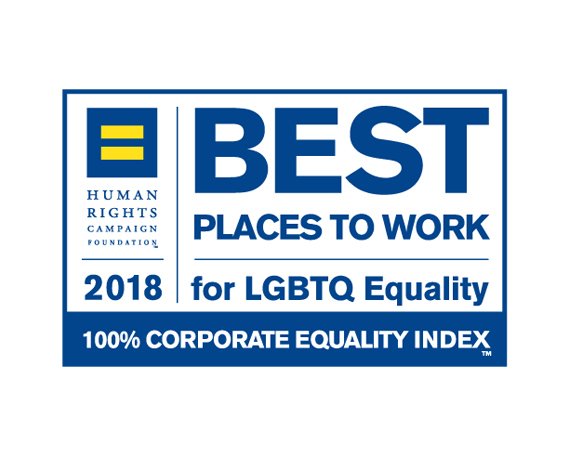 By scoring 100 on the CEI, a business earns the designation of “Best Place to Work for LGBTQ Equality.” HRC saw a record-breaking number of high scores as more businesses have found ways to “show up” for LGBTQ equality. 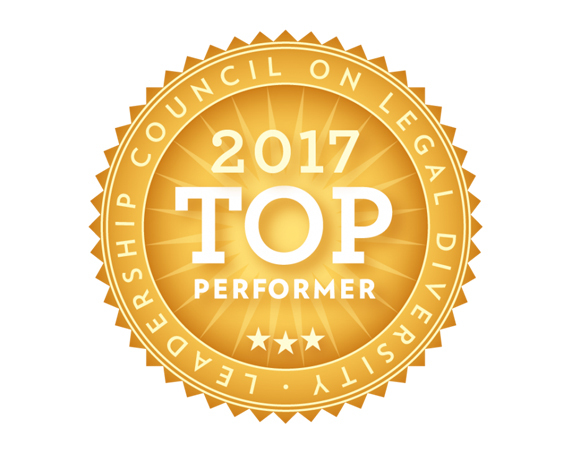 Allstate earned the distinction of “Top Performer” by the Leadership Council on Legal Diversity (LCLD) in late October. Allstate was one of 52 member organizations to receive the designation this year for its involvement and promotion of LCLD’s mission to build a more open and diverse legal profession. The Leadership Council on Legal Diversity (LCLD) is an organization comprised of more than 275 corporate chief legal officers and law firm managing partners who have dedicated themselves to creating a truly diverse U.S. legal profession. The Council collaborates with organizations and individuals across the country to attract, inspire and nurture young talent from diverse backgrounds and help set them on paths to successful legal careers. 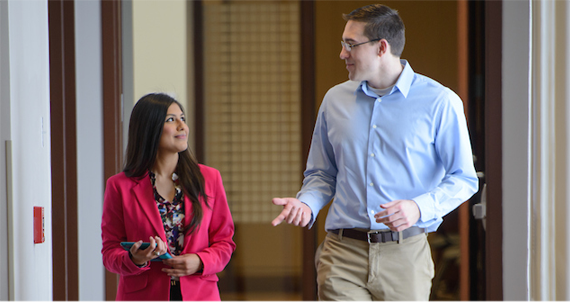 Allstate’s Law & Regulation department offers a wide variety of opportunities for diverse legal professionals to develop their careers through rotational and multifaceted mentorship programs as well as ongoing education. Being recognized as a 2017 Top Performer Member Organization reinforces the Law Department’s dedication to professional development, diversity and inclusion. Learn more about our Legal opportunities and apply today to join us. 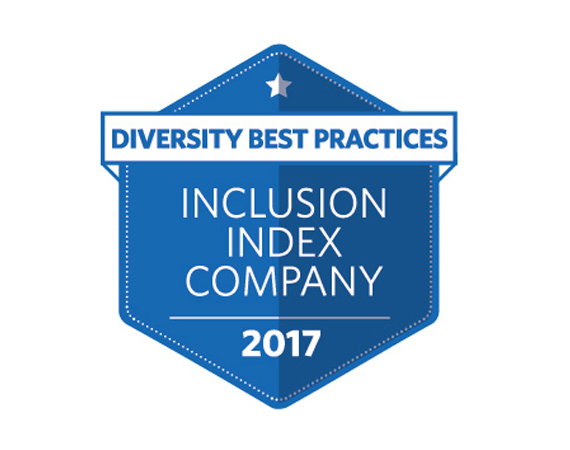 Allstate has been named as a member of the Diversity Best Practices 2017 Inclusion Index. “Diversity Best Practices, a division of Working Mother Media, is the preeminent organization for mid to large size organizational diversity thought leaders to share best practices and develop innovative solutions for culture change. Through research, resources, benchmarking, publications, and events, Diversity Best Practices offers organizational members information and strategies on how to implement, grow, measure and create first-in-class diversity programs. 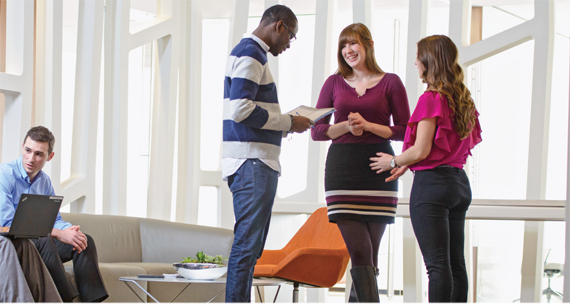 Inclusive diversity is a core value at Allstate and we’re proud to be one of the 33 companies that scored over 70% in the index. Our Employee Resource Groups, partnerships with organizations such as ASCEND, Lesbians Who Tech, and National Black MBA Association, veteran recruitment programs and workplace non-discrimination policies are just a few of the things that helped us to score amongst some of the best companies. We’re committed to ensuring employees of all backgrounds and experiences feel safe, welcomed and supported at Allstate. We strive to better our company and do so with thought leaders just like you. 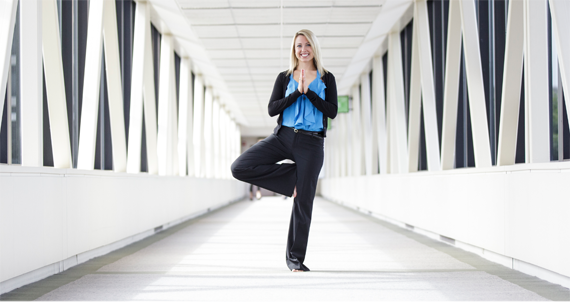 View our career pages to learn more about the different opportunities we offer and let Allstate help you succeed. Learn how Allstate is using technology to help customers faster than ever. We understand that the claims process is not something that everyone looks forward to, especially after an accident, which is why Allstate has simplified the process with several product and service innovations. It started back in 2013 with the launch of QuickFoto claim, allowing customers to submit photos of their damaged vehicle for auto claims via the Allstate Mobile App on their smartphone. Since then, Allstate has launched VirtualAssist, an app that allows adjusters to communicate in real time with body shops through video as well as Digital Operating Centers (DOC) around the county to expedite claim processing and repairs. Kevin is a claims adjuster with in the DOC, and he is glad to be able to conveniently serve customers. “It’s really revolutionary. You used to have to make an appointment and then drive to the claim office. Now, you can start your claim in your short pants and flip-flops on a Sunday morning, or you can do it right then and there at the scene. So, it really gives customers a lot more freedom and flexibility.” Customers can link their bank to the app, so the payout can be deposited directly into their bank accounts. Not comfortable trying the app yet? No problem. Agency owners can assist with those who can’t use the app or submit photos via the app or we also have third party vendors that can come out and assist. Understanding that a customer’s time is just as important as the quality of service delivered is essential. People expect things to be done faster than ever before, and Allstate is accommodating them. Kevin works in the Dallas, TX DOC, and Allstate has nine other DOC locations around the country in the following locations: Charlotte, NC; Denver, CO; Ft. Washington, PA; Hauppauge, NY; Largo, FL; Nashville, TN; Phoenix, AZ; Seattle, WA; Woodridge IL offering relocation to qualified candidates. 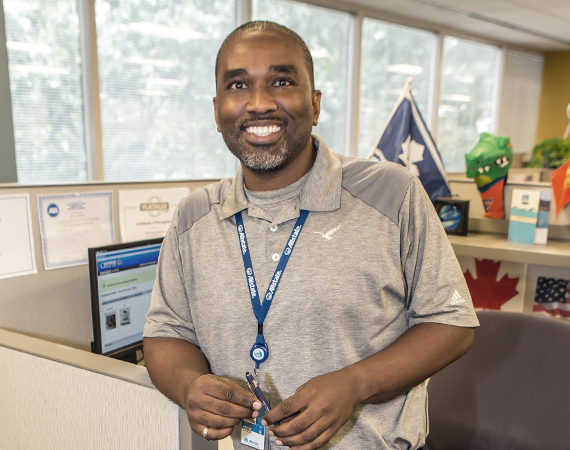 If you’re looking to utilize your estimating experience while working with cutting edge technology, learn more about working in claims at Allstate here.